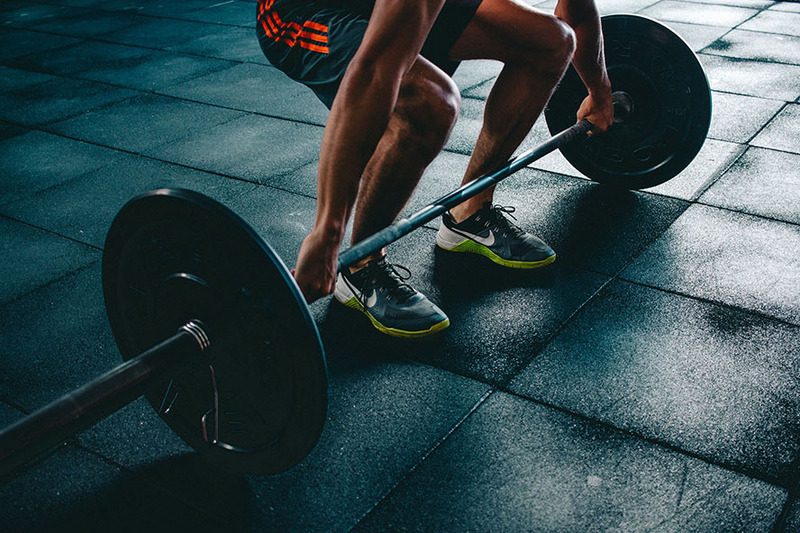 The goal of this post is to provide fair and balanced information about the best cross training shoes available and how to choose the right cross trainer for your training needs. There are hundreds of training shoes, some good, some bad. With the information on this post you’ll not only be able to determine what cross trainer is right for you but we’ll help you find the best prices available! Many people fail to see the benefit of using the best cross training shoes for their specific type of training. A lot of people are under the impression that a shoe is a shoe. Far too many people simply buy the cheapest pair of running shoes they can find and use them as their cross trainers (Read below Training Shoes vs Running Shoes). This is bad for a number of reasons, but most importantly because it can lead to injuries such as stress fractures, pulled muscles, tendonitis, sore ache joints, muscle soreness and discomfort. All of these things could potentially be avoided all by purchasing the right shoe. If you can't afford the price of the right shoe, you can invest in insoles instead. If you’re serious about your training then you should be using the best cross training shoes for your training purposes. You need the right shoes for the right job, this will give you better performance and a better workout not to mention decrease your risk for the injuries mentioned above. When selecting the best cross training shoes we need to know what type of training you’re going to be doing. This is important because if we run, we want running trainers; if we walk, and do other lighter activities we want a different type of shoe. Agility training and high impact plyo-metric training will require a different style of training shoe as well. Understanding your training methods is paramount when you’re considering what type of training shoe is best for you. If the shoe you need is for running, you will want a running trainer. This type of trainer will need to be selected based on your running style. The running shoe you choose will be based on over-pronation, pronation or under-pronation. The type of trainer you need will want to reflect this type of running style. These types of trainers are technology driven, which means, from the studies that have been done on these running styles, this information was compiled and went directly into the design of the shoe. You will get a perfect shoe that will assist you in conditioning and agility. If the shoe your need is for multi-directional fitness, meaning more than one area of fitness. The Best Cross Training Shoes for you are Multi-trainers. These are specifically designed for the multi-tasked individual that has more than one type of workout to do. You are looking for a shoe that is designed for lateral movement. It must have ankle support as well as shock absorption. The shoe must fit well and be very comfortable. These shoes come in a wide range of varieties and normally are fairly affordable. The Best Cross Training Shoes are the shoes that fit your needs to the tee. The key is making sure you buy the shoes that will work for you and accommodate your training needs. There are many different companies that make these shoes and all have different features. So by looking at what they have to offer, you will find the right training shoes that are best for you. The fitness world has seen a lot of changes in the last 2 decades regarding the types of shoes to use, and for which sports to use them for. There are a lot of different shoes to choose from, this is made possible because of the different companies that are manufacturing shoes. The sportswear shoe industry is a multimillion dollar annual business and is growing each year. Because of the technology that has been developed over the last few years, it has been made possible for shoes to be designed for different levels of training. What we will talk about here, are the differences between Training Shoes vs Running Shoes. If you are a running enthusiast or involved in fitness sports, there are a variety of shoes to choose from. Because different types of movements are required for different types of sports, the correct kind of footwear is necessary. A specific type of shoe with its own characteristics is available for each level of sport. Taking this into consideration each type of training shoe or running shoe is therefore different and should not be interchanged between sports. Trainers – if you’re looking for training shoes they are not meant for everyday use. Training shoes or cross training shoes are used for multi-directional movements or training. They provide ankle support in different types of fitness environments. These shoes are meant for many kinds of physical movements such as, jumping, side-to-side movements, weight training, and even kickboxing. They should be used according to the reasons they were purchased. There are many types of training shoes available today. Some have technology that will allow anyone with any type of foot issue to purchase a pair that will allow better performance and conditioning. Jogging or Running shoes – are built specifically designed for forward motion. With the “toe off heel strike design” these shoes are designed for better running starts as well as comfort during the run. Running shoes provide maximum benefit for the runner allowing for flexibility and promoting agility. Running shoes are mainly designed to be thicker with more cushioning on the sides and the soles. The midsoles and heels are thicker for more flexibility in the toes. To keep the foot arched the soles have a curve shape for better performance. When comparing Training Shoes vs Running Shoes, we need to understand the reasons in which we are making the purchase. Are you buying them to run in, or are you making a purchase to train? This will help you to get the maximum benefits from your workouts or training, and to give your body the best chance for conditioning. This will also allow your feet to feel more comfort and support while reducing the chance of injury due to wearing the wrong shoes. Whether you need shoes for training or running, the idea is to take good care of your feet. Your feet are important, and you want to allow them to experience less stress, in-turn this will create minimal problems in the future. Also remember that using the wrong pair of shoes could result in lifelong injuries to you ankles, knees, hips and lower back. Nike Air Max 90: As one of the company’s long-standing lines of cross training shoes, the Nike Air Max 90 is as capable a shoe as it was when first released some 20 years ago. Generations of runners have raved about the Air Max 90, as it is a perfect blend of exercise-capability and everyday sensibilities. Anyone in the market for a high-quality running shoe or versatile cross trainer simply cannot afford to miss the Nike Air Max 90. First introduced in the 1980‘s, the initial version of the Nike Air Max 90 line did not differ significantly in appearance than its present-day incarnations. Interestingly, it was in 1987 that Nike first introduced their now trademark visible air pockets in the heel of the Air Max, and that feature is alive and well even in the modern rendition. Over the years, customers have found the air pocket to be of superb comfort and excellent long-term reliability. Furthermore, the outsole of the shoe is capably equipped with high quality rubber grips which facilitate running and exercising on a variety of indoor and outdoor surfaces. Complimenting the superb traction offered in the outsole, the midsole of the Nike Air Max 90 is where the shoe truly stakes its claim as a timeless cross trainer. With incredible width and durability, the midsole of the Air Max 90 provides for optimal stability, making for a much more comfortable running experience. The upper of the Nike Air Max 90 comes in two distinct variations. The first, and perhaps more common among runners, is the mesh version. The mesh upper makes for an extremely lightweight shoe, adding to the effortlessness and comfort of the running experience. Furthermore, the material naturally promotes ultimate breathability, keeping the feet dry and comfortable even during vigorous workouts. The second version of the Nike Air Max 90 is constructed of a high-quality leather upper. While the mesh version is typically a big hit with runners, the leather version offers unsurpassed durability and long-term use. Like other Nike shoes, the leather version is highly resistant to creasing, helping it to keep its sharp appearance even after significant wear and tear. 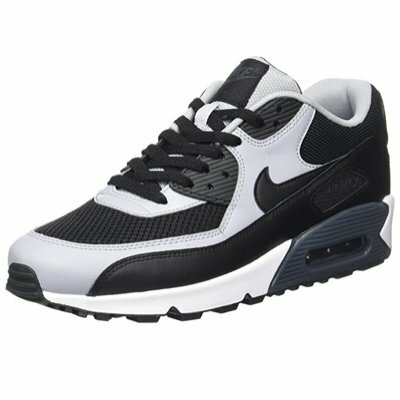 In each upper variation, the Nike Air Max 90 features multiple eyelets for customized lacing. Again, the ability to personalize the lacing configuration is a big draw for many customers, particularly those who intend to use the shoe as a dedicated cross trainer. As expected, the insole features more than ample padding, and the included flex grooves technology promotes ultimate range of motion without sacrificing stability. Like with many Nike cross trainers, one of the most notable aspects of the Nike Air Max 90 is its versatility. Many customers find the shoe equally capable both as workout footwear and an everyday item. True to this ability, more color options are available than ever before in the Air Max line, making it possible to personalize the shoes to every last detail. 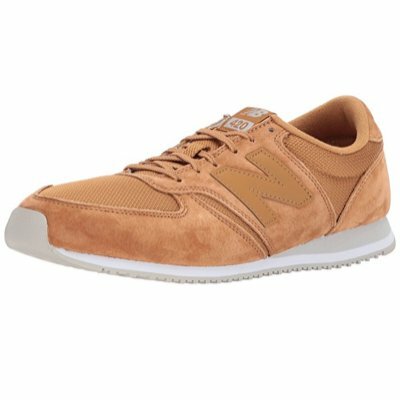 New Balance 420 Classic Sneaker: As the popular men’s rendition of the same women’s shoe, the New Balance 420 is a highly versatile running shoe which also boasts of variety of everyday uses. Both the 410 and 420 were developed some 30 years ago in response to the boom in popularity of running in the United States. 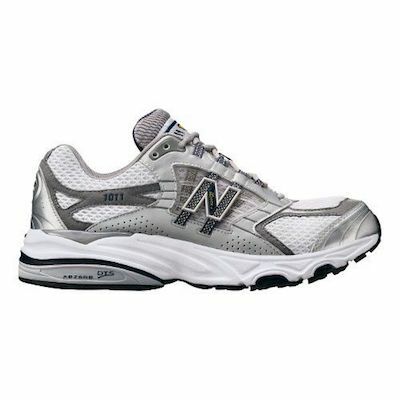 Since that time, countless university track teams have outfitted themselves with the New Balance 420, and their popularity has certainly spilled over into the market of casual footwear, as well. For anyone in search of a running shoe which has tremendous use as a basic, everyday shoe, the New Balance 420 is certainly one to consider. As a shoe which was originally designed for running, the New Balance 420 has an outsole with specific workout-minded technologies. The distinctive wave-like pattern of the outsole makes for superior traction on a variety of surfaces, and helps runners get the most power out of each step. With a unique toe-cap extension, the outsole also facilitates excellent response during the toe-off phase of the step. The rubber toe cap also does an excellent job of protecting against mechanical stress. Furthermore, in accordance with its original run-based design, the outsole is incredibly resistant to wear and tear, and many customers find that the New Balance 420 retains its performance ability after years of use. Similar to the women’s version (the 410), the New Balance 420 has an excellent midsole whose downplayed appearance belies its superb function. Because the midsole is made of injected-molded Ethylene Vinyl Acetate (EVA), it exhibits excellent cushioning and resiliency, but is also very durable. In addition, because the injection-molding process injects tiny air bubbles into the rubber, the sole is incredibly lightweight. The upper of the New Balance 420 is composed of a mixture of suede and lightweight mesh. The suede is extremely durable and gives the shoe a very sharp look which makes it suitable for everyday wear. The mesh portion is extremely lightweight and facilitates optimal ventilation. The most notable aspect of the New Balance 420 is its supreme versatility. Although generations of runners have considered the 420 a must-have in their arsenal of footwear, customers have found excellent use in the 420 in a number of different settings. For professionals who spend lots of time on their feet, the 420 is a common choice, as it is extremely comfortable and helps to prevent soreness and muscle cramps. Moreover, the New Balance 420 makes a sharp addition to almost any casual outfit, and it is available in a dizzying array of color schemes. 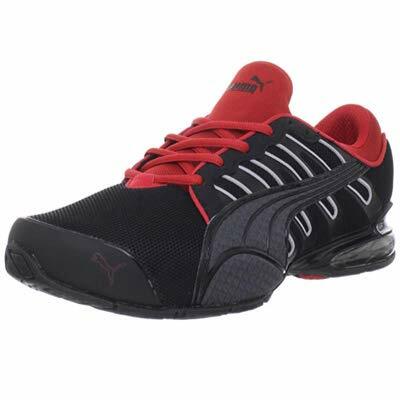 Puma Voltaic 3: Founded in 1924, Puma has aggressively staked its claim in the American market over the last 15 years, thanks to an outstanding lineup of footwear such as the Puma Voltaic 3. Perhaps best known in Europe for their soccer cleats, the company’s superior line of running shoes has also garnered praise from novices to professionals alike. As one of the headlining series in the company’s running segment, the Voltaic has long been a favorite shoe for a variety of exercise regimens. Like most dedicated running shoes, the Puma Voltaic 3 makes its name in a number of outsole technologies. One of the most impressive is Puma’s exclusive 10 Cell technology. This feature consists of two distinct layers separated by a thin membrane. The lower layer serves to optimally absorb foot impact, while the upper layer works to help the foot rebound from the striking motion. Combined, these two layers provide an extremely comfortable ride and help to prevent soreness and injuries. A second inclusion in the outsole is the ArchTec technology, which cradles the foot in the ideal position during impact and naturally guides the foot for a comfortable impact and push off. In addition, the Thermoplastic Urethane shank works with the ArchTec mechanism to prevent over pronation. Encasing these features is a robust outsole constructed of CM-EVA (Compression-Molded Ethylene Vinyl Acetate), a material renowned for its strength and flexibility. The durability of this substance has been proven to withstand long-term, intense wear and tear. Finally, the Puma Voltaic 3 features a heel air pocket, known as the iCell, which is visible throughout the heel of the outsole. Many customers find that the Puma Voltaic 3 is highly adaptable on a number of surfaces and in a variety of weather conditions, as the outsole is specifically formulated for superior grip and traction. The upper of the Puma Voltaic 3 features the predominant “Formstripe” logo which has become synonymous with Puma. With a combination of synthetic leather and mesh, the upper provides maximum durability, stabilization, and breathability. For added protection, the upper is equipped with reflective 3M material, a nice inclusion which promotes safety especially after dark. While the majority of the forefoot consists of the mesh material, a strong rubber toe cap wraps around the front of the shoe for protection against mechanical stress. The tongue is also constructed of the mesh material, providing superior ventilation during the course of a workout. The insole of the Puma Voltaic 3 is lined with comfortable fabric, and the shoe comes with a removable OrthoLite sockliner which further promotes comfort and actively wards off formation of microbes within the shoe. New Balance 1011 Cross Trainer: In operation for more than a century, New Balance has made a name for itself thanks to excellent shoes like the New Balance 1011 Cross Trainer. New Balance shoes are notable for their excellent versatility, as many shoes can easily double as running footwear as well as an everyday item. One shoe, however, which is uniquely designed for the needs of runners is the New Balance 1011. More specifically, New Balance promotes the 1011 as a shoe created for long distance runs, although runners of all styles have found tremendous value in the shoe. Like several other of its brand counterparts, the New Balance 1011 utilizes the proprietary ABZORB DTS (Dynamic Transition System). As an amalgam of different foam-based support pads, the DTS system is one of the most notable inclusions on the 1011. The outsole portion of the system consists of a highly responsive foam pad which minimizes the impact of each foot strike. The second component, the ABZORB SBS pad, is embedded within the midsole and further compliments shock absorption by spreading the force of impact throughout the entire surface area of the foot. New Balance goes so far as to claim that the SBS inclusion provides up to 10% more cushioning than their shoes which lack the same feature. Another ABZORB technology found in the New Balance 1011 Cross Trainer is the Strobel Board, which supports the full length of the shoe in absorbing compression. The outsole is also constructed of blown rubber, a unique material which offers more cushion and less weight than normal rubber mixtures. The midsole of the New Balance 1011 is comprised of a unique material, dubbed “Acteva”. According to the company, these cushions work to diminish impact and are 12% lighter than typical midsole foams found in most running shoes. One feature exclusive to a variety of New Balance shoes, including the New Balance 1011, is the N-Lock system. With side mounted lace holes that encapsulate the upper, the shoe is ergonomically tightened and wrapped around the foot as the laces are drawn. Furthermore, the upper is composed primarily of mesh, a material which is both highly flexible and very breathable. Each of these upper features combined makes for a very secure fit while providing optimal ventilation. In terms of safety, the New Balance 1011 is equipped with reflective material on all sides of the shoe, promoting 360 degree visibility and ultimate safety for night time runs. Moreover, the 1011 is very aesthetically pleasing, with a number of visual effects not present in similar New Balance models. Best Beard Balms for 2019 Reviewed: Is it Honest Amish Beard Balm?